Southern Colorado is a place of wonder. With towering mountains instead of skyscrapers, wildlife instead of noisy traffic, and the freshest air you’ll ever breathe, it’s easy to relax and become one with the serene environment. Many people that come to visit, do for that very reason, to reset their internal clock and free their mind of troubles and frustrations from back home. However, there’s another type of visitor that takes a Colorado vacation, those seeking adventure! Colorado is a haven for those looking for thrillseekers, no matter what time of year! From skiing and rafting to mountain biking and climbing, the thrills never end! 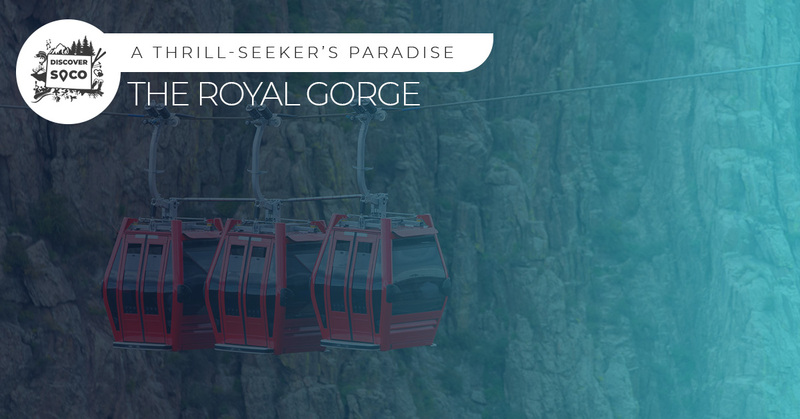 While you’ll have nearly unlimited options of activities to choose from during your mountain getaway, we’ve found that the Royal Gorge and the surrounding area is a must for risk-takers of all ages. Learn more in this blog post about a few of the things you can do in the area. When you stay in Westcliffe, you’ll be just 45 miles away from Cañon City and the Royal Gorge, as well as right by innumerable other hiking paths, climbing routes, and Monarch Mountain if you’re a skier or boarder! So if you’re looking for a place to rest your head in between all of your adventures, book a room at The Lamp Post Lodge or Hillside Colorado Cottages! For those with a daring soul, and no fear of heights, how about zipping along the highest zip line in America? As long as you’re over the age of 10, you can “fly” 1,200 feet over the Arkansas River! You’ll get the adrenaline rush that you’re seeking, while also seeing some of the most spectacular views that you will have ever experienced. Listed as Colorado’s #1 bucket list adventure by the Travel Channel, we guarantee this will be an experience to remember. Along with the Cloudscraper Zip Line comes another option for you adrenaline junkies! The intimidating, yet incredibly fun, Royal Rush Skycoaster! You’ll be swinging at 50mph, 1,200 feet in the air! Considered the “World’s Scariest Skycoaster”, if you’re a fan of adventure, you’ll regret not getting harnessed up and experiencing the rush! In a previous post, we brought up the fact that the whitewater rafting around the Royal Gorge is some of the best in the country, and so too are the hiking and biking trails! Even if you’ve visited Southern Colorado before and think that you’ve ridden or hiked them all, think again! 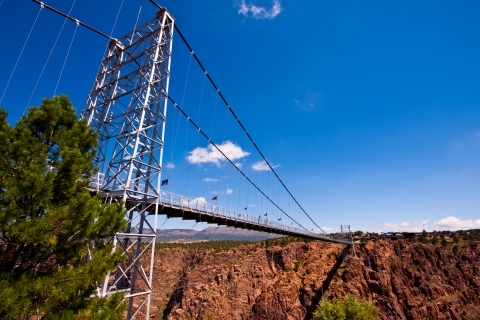 This year, they added miles of new trails to the Royal Gorge region! Here’s a list of some of the hikes that you can take, from easy to difficult. You also have the opportunity to go on ATV rides, horseback riding, and much more! There are way too many possibilities around the Royal Gorge to name them all so that just means that you have to come visit and seek your own adventure!  Continue to follow our blog for more information and vacation ideas in Southern Colorado!